LMS Art Deco china pen stand with integral inkwell and a pencil for display purposes. Base is marked LMS HOTELS 1937 Royal Doulton. Measures 5in square x 3in tall and is in excellent condition. 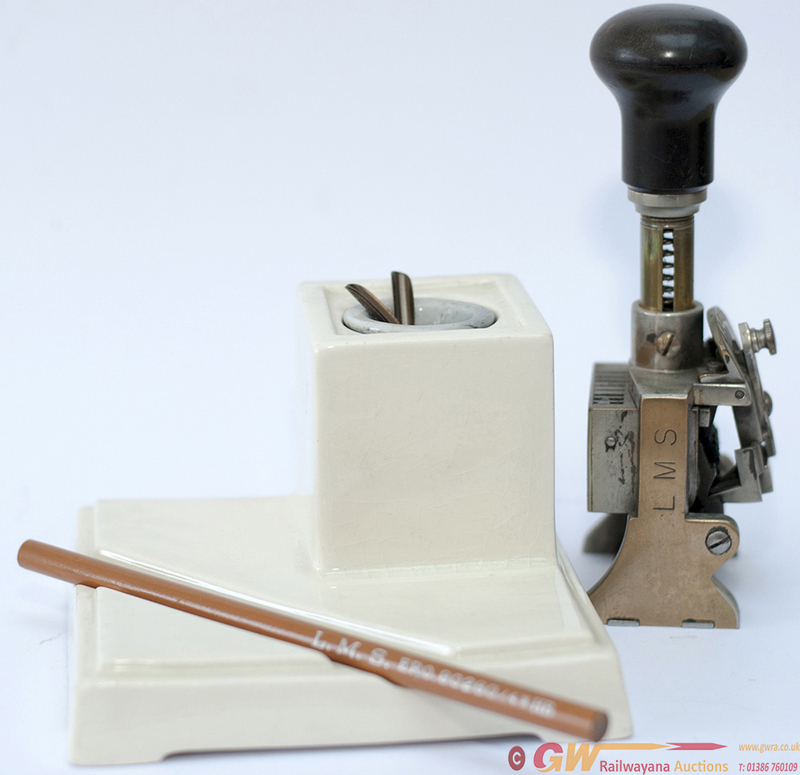 Together with a LMS invoice numbering machine in good condition stamped LMS on the side.